I am slowly coming to terms with the fact that I might be addicted to sugar. This is a little hard to swallow because I was kinda proud of myself when I realized that I only have 4 dessert recipes posted on my blog! I have way more soup and salad options which has lulled me into this fall sense of healthful-ness of my cooking. Yes, I tend toward recipes that start with fresh whole foods. I eat pescatarian. My shopping cart always has lots of produce in it. But my baking always leans toward a little sweet. I might not count my 4 scone recipes as desserts, but when I slather them with butter and jam, I’m not really fooling anyone. While I struggle to accept this addiction and move toward recovery, I will give you the benefit of enjoying my addiction with me. In my defense (isn’t that a sure-fire sign of addiction; a defense?) 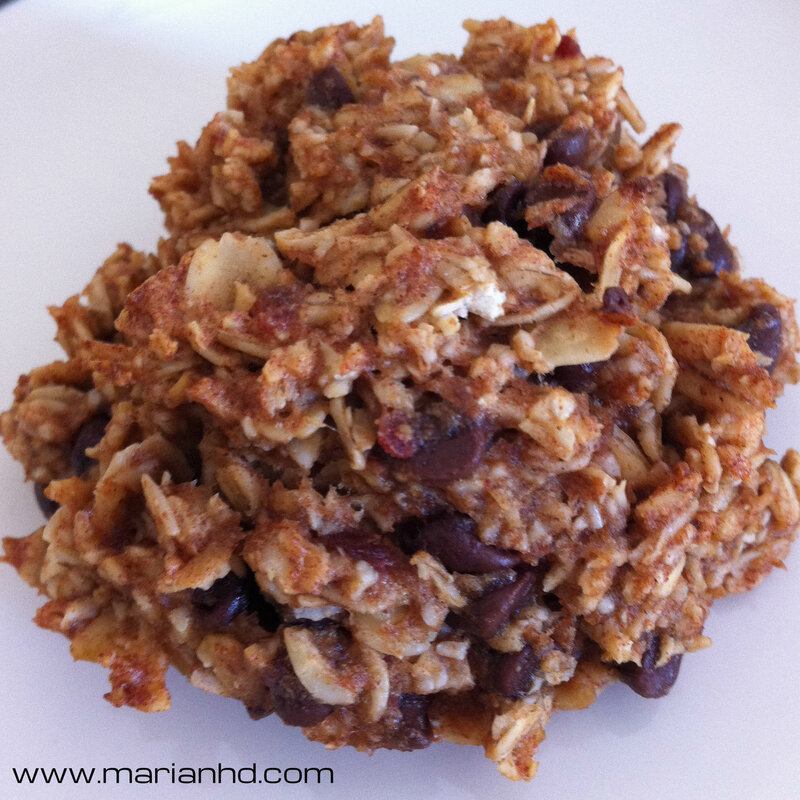 I do seek out and enjoy sweet recipes that use fruit to sweeten them and include whole grains like oatmeal. 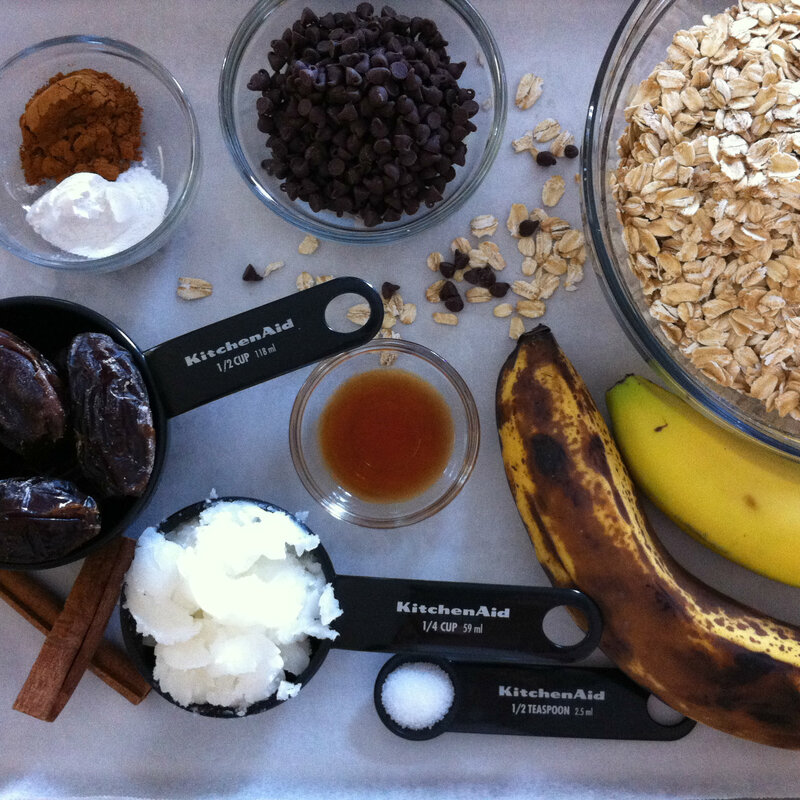 Like these Banana Bread Breakfast Muffins. So they are healthier, right? Ish? If they are good enough for Angela Liddon, then they are good enough for me! (And if you haven’t already ordered her new cookbook, please do so immediately. Whether you are vegan, vegetarian, or hard-core carnivore, her recipes are amazing. Her photos made my meat-lovin’ husband drool and the recipes deliver.) I found this recipe on her website and knew I had to try them. Short ingredient list, natural sweeteners, and chocolate. Win. 2. 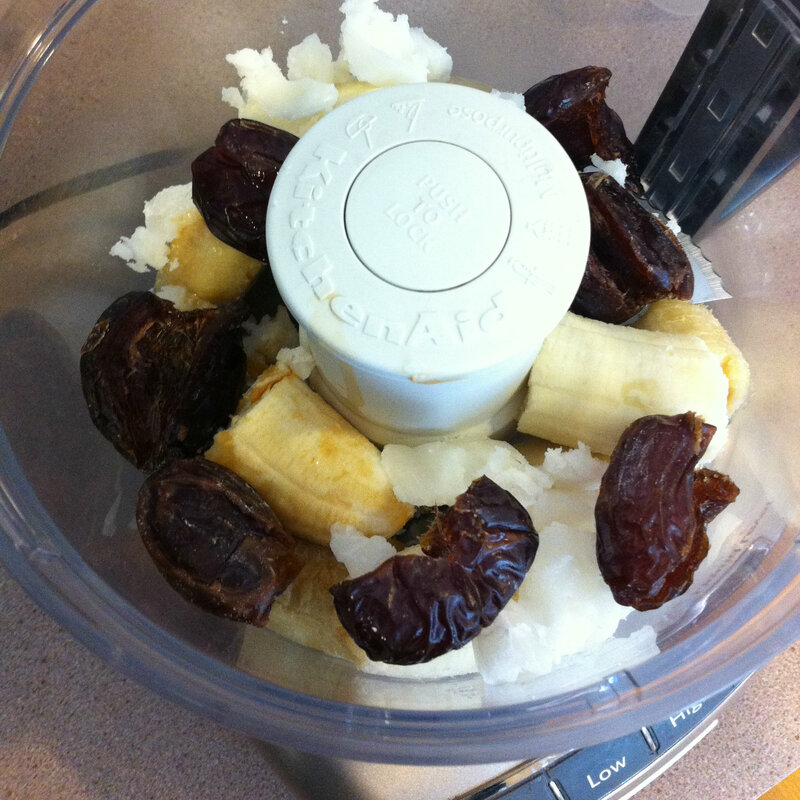 Using a large food processor, combine the bananas, dates, coconut oil, and vanilla extract. Process until the mixture is smooth. This will take longer than you imagine it will. Don’t be afraid to let the processor run for over a minute. 3. Process in the cinnamon, baking powder, and salt. Then add 1 1/2 cups of the oatmeal (leaving 1/2 cup for later) and process for just a few seconds (4-5) to get the oatmeal roughly chopped up. 4. Although it makes another bowl dirty, I like to dump the whole mixture into a new bowl to mix in the rest of the oatmeal and the chocolate chips. It’s just a lot easier for me to hand mix in a bowl instead of my food processor. 5. 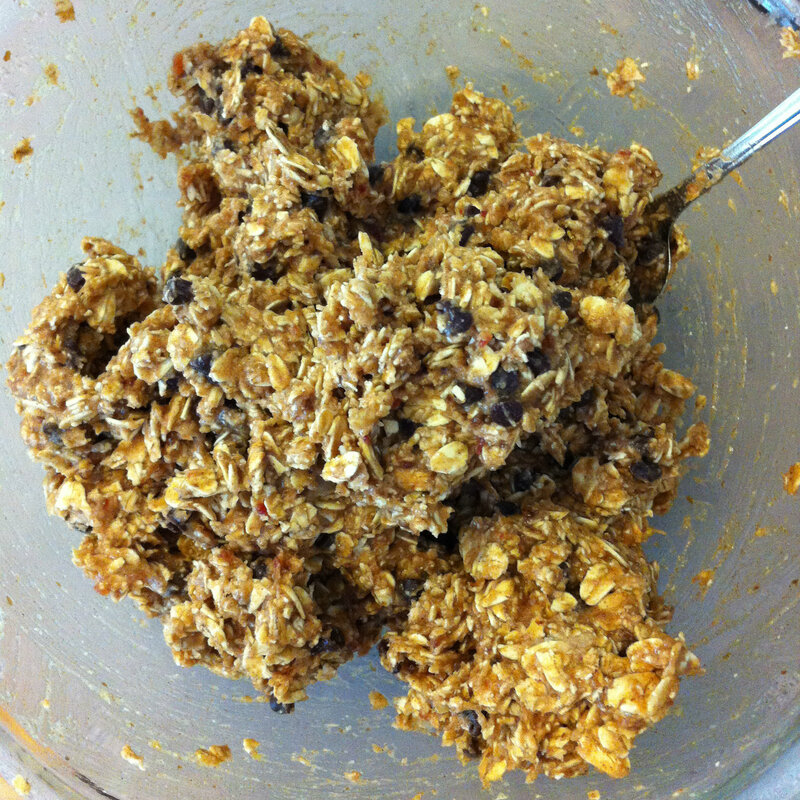 Spoon out 3-4 tbsp of the dough onto your prepared baking sheets to form your free-form muffin cookies. No need to press them down. 6. Bake the muffin cookies for a total of 17-19 minutes, rotating the pan halfway through, especially if you know your oven doesn’t bake the most evenly. 7. Allow the muffin cookies to cool for 10 minutes on the pan before transferring them to a cooling rack to cool completely. *I find that with any baked good using a significant amount of banana in the mix, these are best eaten quickly (within 3-4 days) or else stored in the refrigerator if they are sticking around longer. Given that this only makes 8-9 muffin cookies, the storage issue shouldn’t really be an issue. I can eat all of these in 3-4 days, but then again, I’m a sugar addict. What is awesome about these is how portable and healthy these are. 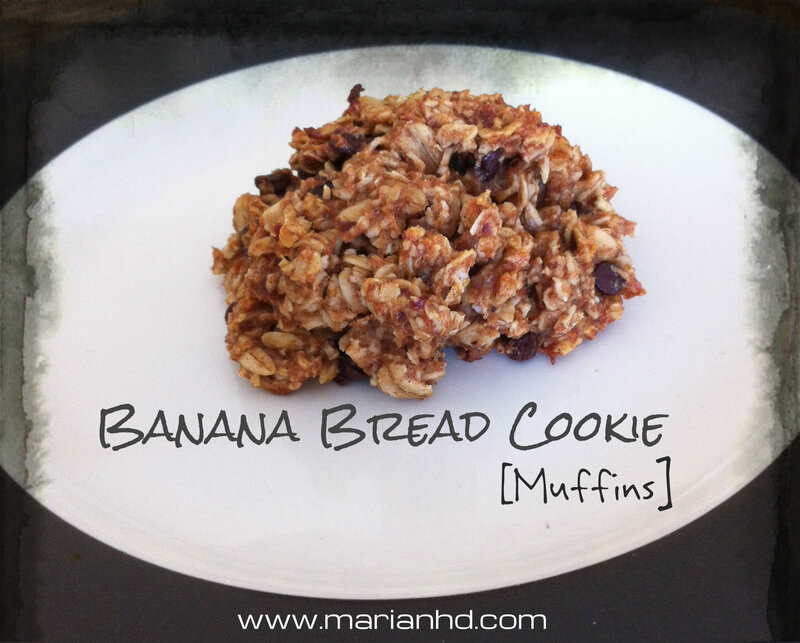 It is a cross between a oatmeal cookie and banana bread. Well done! You are exactly right! They taste so good you feel like you’re eating a cookie, but you can call them a muffin and eat one for breakfast to start your day right! Enjoy!